First it was Lynda Tabuya join­ing SODELPA. Now it’s Lenora Qereqeretabua joining the National Federation Party. 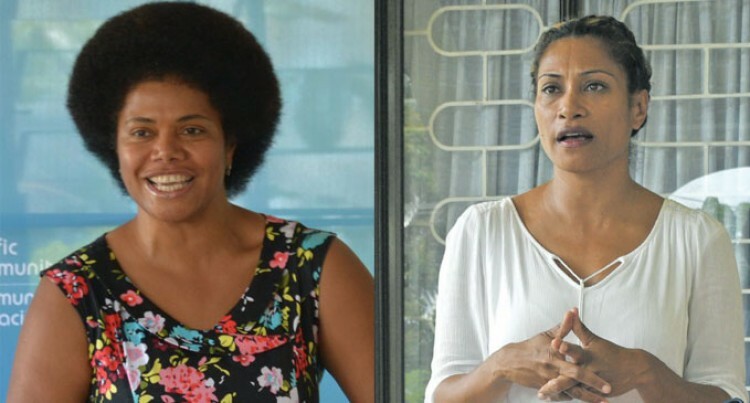 Could this signal the dawn of a new era in Fijian politics when we will see younger candidates, including an in­creasing number of women, contest­ing the general election? While there has been a mixed bag of response in SODELPA about Ms Tabuya’s entry into the party, Ms Qereqeretabua has been received with open arms by the NFP. Just as the “Lynda factor” is energis­ing the SODELPA election campaign, NFP leader Biman Prasad and the party’s brains trust are excited that the “Lenora factor” will help light up their campaign which so far has been dull and boring. They are hoping that her “star pow­er” reputation and experience in tel­evision and the media will help lift the NFP’s public relations crusade. She has been recognised by those who have worked closely with her for her “strong interpersonal skills and unique capacity for empathy”. This quality has made her an ideal choice as a master of ceremony in many events in the private and public arena. The interest shown by younger wom­en in politics is a healthy develop­ment. It demonstrates that our young­er generation is getting interested in national issues that affect our nation. FijiFirst, Unity Fiji and the Fiji La­bour Party have not announced their candidates yet. SODELPA and the NFP still have to choose their remaining candidates. This year could go down in the an­nals of politics as the election year that saw the largest number of young­er candidates. Ms Qereqeretabua turns 50 in March and Ms Tabuya will be 46 in December. Statistics show that 69 per cent of our population are under 40 years old and 50 per cent are under 27.52 years old. The FijiFirst Government, in recog­nition of this trend, has been engag­ing young people, particularly stu­dents in senior forms in secondary schools and those in tertiary institu­tions, in public consultations. It can be credited for creating an environment that encourages young people to participate in national dis­cussions on issues that affect them. Despite criticisms from Opposition politicians, the Attorney-General and Minister for Finance, Aiyaz Sayed-Khaiyum, held Budget consultations with students last year. They argued the students were too young and it was a ploy to brainwash them. But the consultations were proved popular and highly successful. Some of the issues the students raised were incorporated in the current Budget announced last year. If they were old enough to vote at 18, they were old enough to express them­selves on matters of national impor­tance. So Ms Tabuya and Ms Qereqeretabua are likely to inspire those in their age group, particularly women, to join the political debate. They are the new faces of politics. It is too early to predict how big an impact they will have on the political landscape. Ms Tabuya has been there before. She contested the 2014 General Election under the People’s Democrat­ic Party, but failed to win a seat. Ms Qereqeretabua’s approach to poli­tics is expected to be slightly different to Ms Tabuya’s style. She is expected to take the measured approach. It was evident from Fri­day’s press conference when the NFP list of candidates was announced that all the candidates will be using the same songbook. She will, to a certain extent, use her public image to do the talking. But, will Ms Qereqeretabua and Ms Tabuya have a significant impact on their respective party fortunes? Only time will tell.